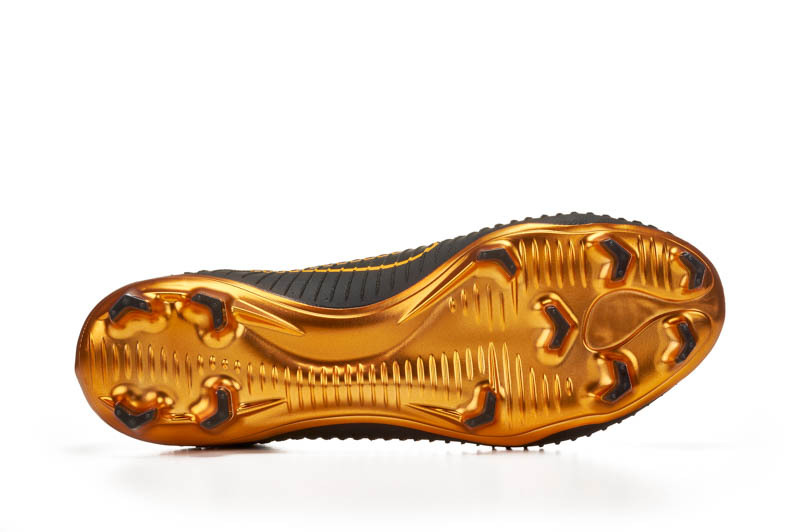 It’s not often I am flattered by a soccer cleat. I’m an old-ish school guy and stay true to my older style k-leather cleats but over time there have been a few soccer cleats that have made me look (*hat tip to Nas, and yes Mr. Ball, Nas is true hiphop, learn something son). 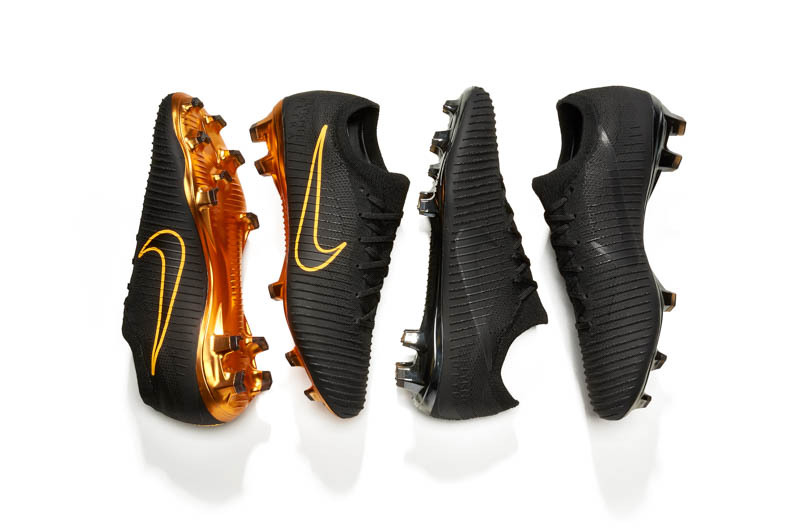 It started with Nike catching my eye in the early 90s with the Tiempo but I can’t say I loved it, I was wary of a shoe that was not from a famous soccer brand which the Swoosh giants were not back then. 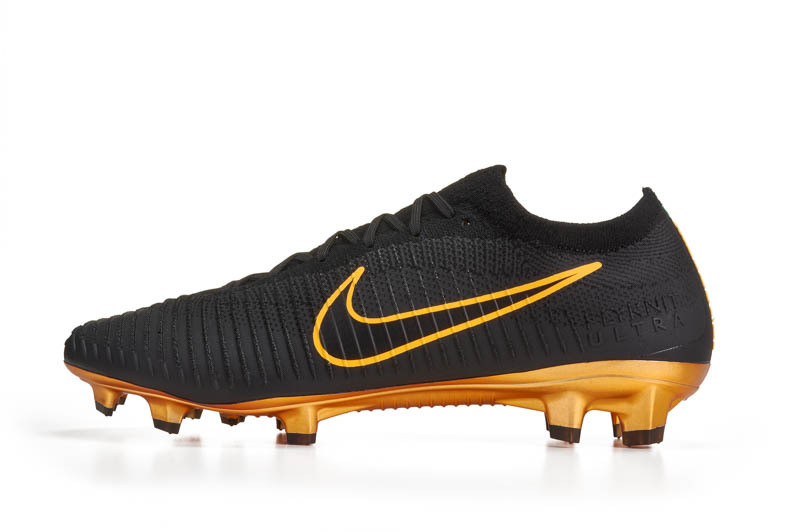 Then the first Nike shoe with a collar (Magista Obra) caught my eye as I thought it was great looking but i didn’t necessarily love it because it felt uncomfortable to me and comfort is a major priority to me. There was also the GS which was an instant eye catcher because it was so loaded with technology and great looks and the green cause was worthy of much respect, that was a baller shoe. The Mercurial in the ’98 world cup worn by Ronaldo was really eye catching but to be frank I hated it. I hated the fact that it was not black like other cleats, I thought it went against the team ethos. Much like coaches who hate having players who have peroxide hair or long hair, it was more about the team ethos than the actual looks of the shoe. It was a spectacular shoe after all and a true classic. As you can tell, outside of the GS, most of the shoes that have arrested my attention have not been met with positive vibes from me. The Nike Mercurial Vapor Flyknit Ultra though is a stunner. I don’t know that I’ve ever worn a pair of cleats that have fit these ever before. 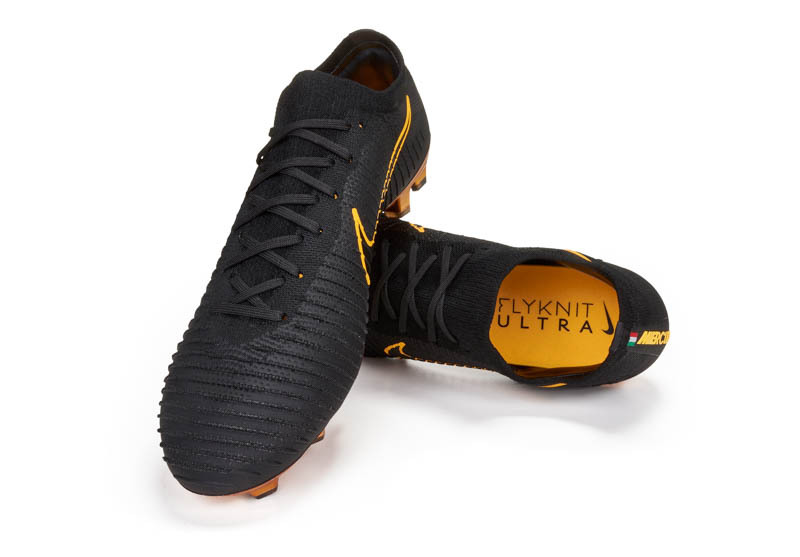 They’re like a pair of soft premium leather gloves like no other shoes and I’ve tried on quite a few cleats on and tested my fair share. These are some wonderful lightweight soccer shoes. 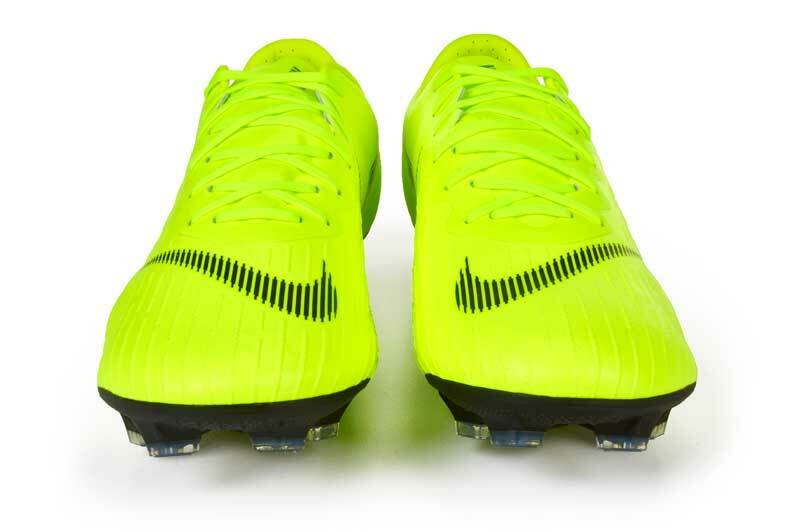 Outside of the soleplate and maybe a bit with the upper, there’s not a whole lot that ties these shoes to the prior Vapor. 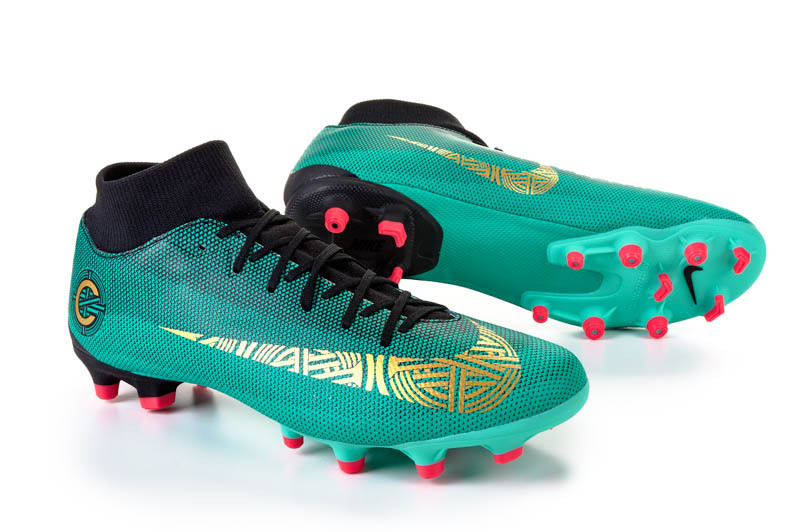 This shoe is just light years ahead of the current Vapor XI. Even the laces are thicker and of better quality. The fit is definitely the first thing you notice, then when you dig in further you see that the heel counter is just so much more comfortable and has a bit more padding. For a comfort lover, this is super! The upper is much more pronounced with the speed ribs, almost like if you had a good itch before a game, it’d do the job of scratching it out with no problems. 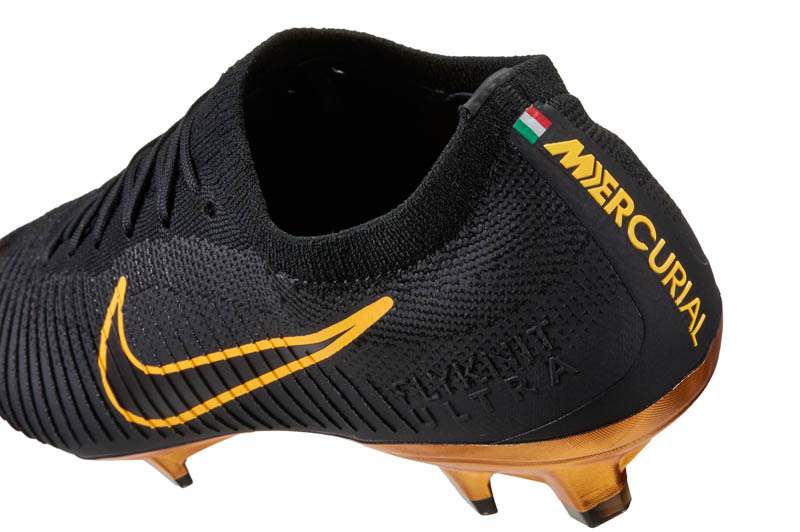 It feels topnotch and if a soccer cleat’s upper ever helped you improve your ball control, this would be the shoe upper to do that. The speed ribs are rigid & are almost like sandpaper in the way they feel, it will provide a good amount of additional grip in the areas where the texture is exposed. 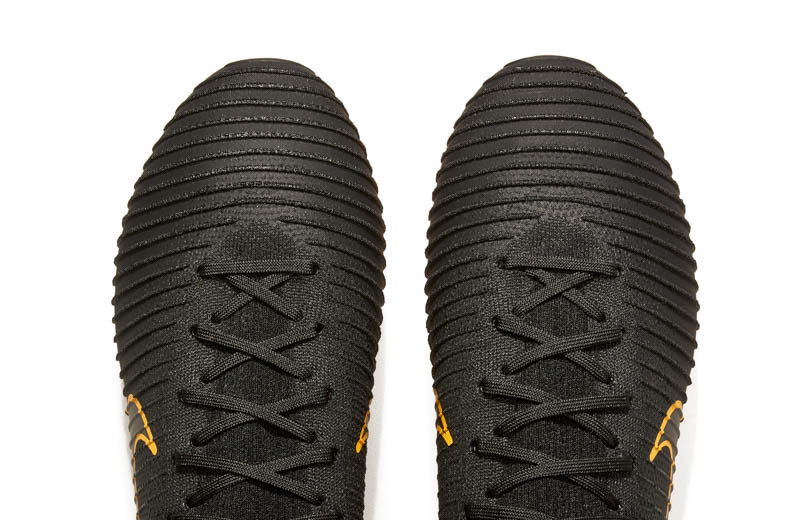 The texture isn’t exposed through the swoosh or at the tip or around the boot. 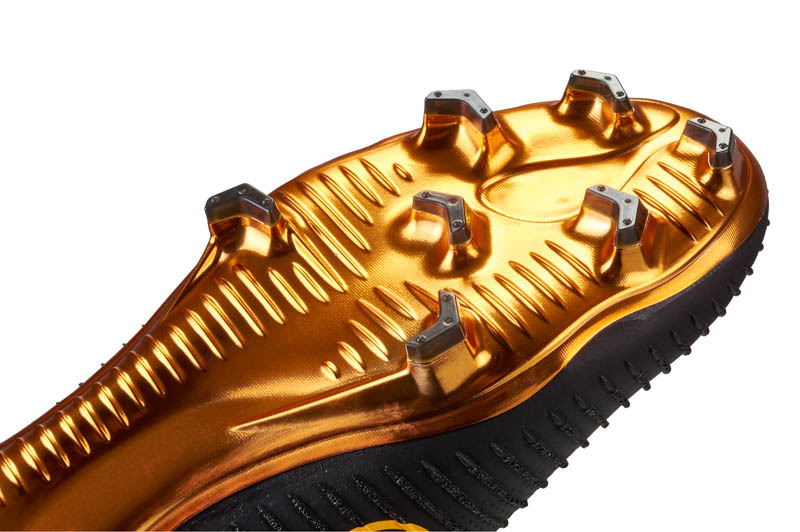 Nike has covered over it around the areas of the foot that need more stability. One-piece Flyknit upper – immensely impressive stuff. 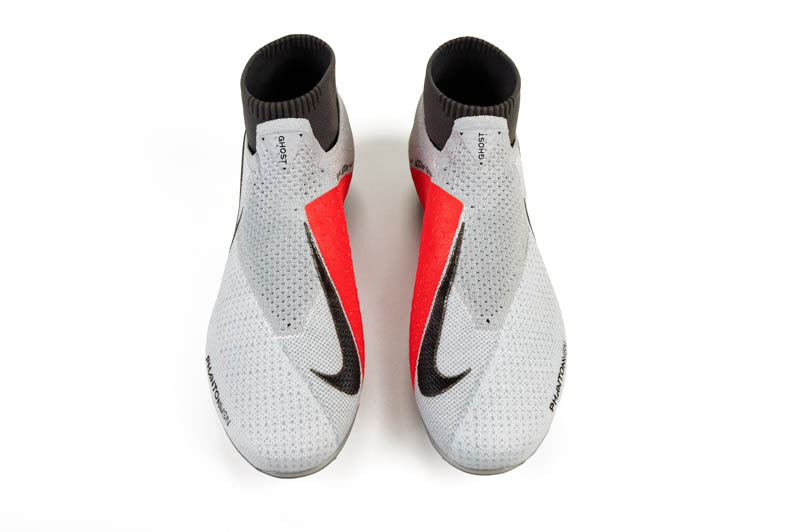 Nike Grip system to keep foot from slipping inside the boot. – we swear by this stuff! 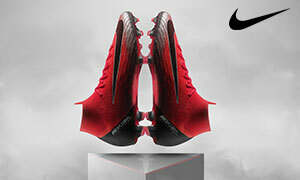 These shoes will be worn by exclusively by Eden Hazard, a proper baller in today’s world. He should be at Arsenal of course but that’s a story for another day. Hi great story, I am considering purchasing some of these boots, however I am struggling to find any which aren’t out of stock in my size. It may be a long shot but do you have anywhere which might still sell this particular boot?? Hi Dan, unfortunately not. They sell out within the first few days (and most times, hours) of release.